Hello Ladies! Ready to make the freezing winter, a classy one? Off course this is what caused you to crash here! A very warm welcome to all the trendsetters and trend followers. You people are so dear to Styles Gap and so I’ve always been posting the up-to-minute stuff to let you gratifyingly applaud your beauty… Same is this piece of writing, bringing a whole new array of tremendous array of clothing ornaments for women by the well-known and one of the top brands of the decade. Spinning, Weaving, processing, tailoring, and embroidery…. The House of Ittehad; featuring all the key processes of a quality product, coming your way! The brand started in 1973, has earned a nation-wide trust of people in 40 years of expertise and now all the units and departments of the Ittehad Textiles are fully equipped with modern machines. The international leading stores of the remarkable tags are in Mumbai, UK, Singapore, Dubai, Chandigarh, UAE; and In Pakistan you can find the stores in almost every city like Azad Kashmir, Karachi, Bahawalpur, Lahore, Raheem yar khan, Peshawar, Faisalabad, Gujranwala, Gujrat, Rawalpindi, Mandi Bahauddin, Sargodha, and Islamabad. Maintaining the dedication and devotion towards quality products to satisfy its valued customers over the globe, has received a tremendous response nationally and internationally. Here we are going to post the latest House of Ittehad German Linen Winter Dresses Collection 2018-19. 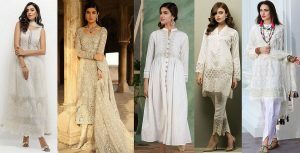 A few days back the brand has launched House of Ittehad German Linen Winter Dresses Collection 2018-2019, Unbinding ornaments of elegance, ethnic beauty, stunning designs, and the real glam of style in the dresses of pure German Linen rich fabric. The outfits come in printed dupatta, a printed shirt, and plain or printed shalwar; and Kurtas stitched in the simple and elegant way. This outstanding Collection of vivid prints and nice colors of red, maroon, orange, navy blue, black-brown, blue, ferozi, black, yellow, teal, tea pink and many more of them, that guarantees vivaciously gorgeous fashion wears that’ll truly suit your personality and are trendy enough to get you moving to be adorable! 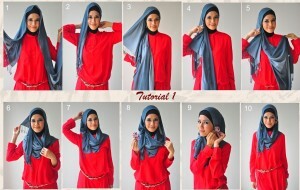 Curious about how the dresses look like? okay, I won’t take much of your time. As the collection’s beauty is beyond the words, You better visualize the mesmerizing designs graceful enough to give a fine lift to your personality and classy enough to dazzle the world around you in a way that your glamour last for long-wearing the quality product by a house of Ittehad. So boost up your ethnicity, enjoy your dazzling looks and get your closet ready with the latest trend-right outfits for the upcoming season of Linen!